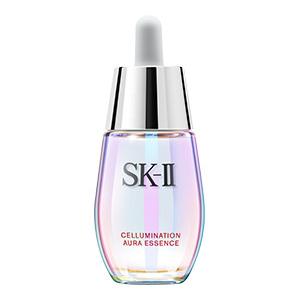 SK-II unveils the latest addition to its Cellumination regimen – the new Cellumination Aura Essence. Introducing a new formula that harnesses the power of Pitera™ with Ume extract in new active complex Soft Aura White, SK-II's extraordinary new brightening serum works to improve the skin’s texture, radiance and spot control while enhancing its Soft Radiance Aura. This delivers translucent aura white skin with a gentle touch of light to optimize light diffusion. Cellumination Aura Essence is designed to be used as a regimen with Cellumination Day Surge UV and Cellumination Deep Surge EX as part of a holistic whitening skincare regimen to present translucent aura white skin that radiates softly from within. In just one week, skin is soft and radiant, as if it is glowing from within.